Cheers to my first FREEBIE Friday! I know that it is late and Friday has almost come to an end, but I would like to share a FREEBIE with you. It was a very busy week in my classroom. My little ones are learning the letter S and having fun with the various activities we have been doing. They just love making a sssssssssssnake sound. My 2nd graders are having fun reading and learning about Thanksgiving. 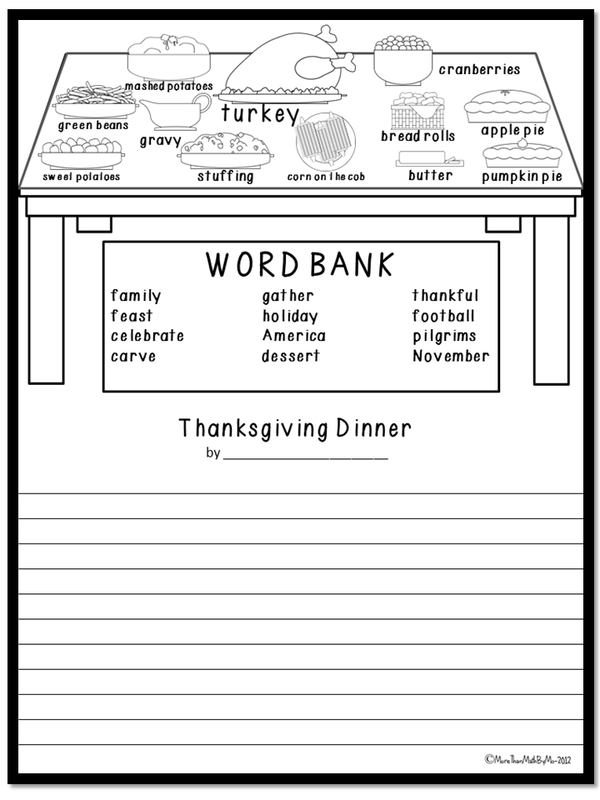 Next week we will be talking about traditional Thanksgiving food and I will be using this FREEBIE to get some creative writing going in my room. I hope you enjoy. Be sure to check back every Friday because I will (try my hardest) post a free item that I have created. Thanks for following my blog. I just found you and would like to follow you, but I don't see a button to follow you :( I used to work with Jill at Toddler's Workshop!! Ok I think I have all the correct buttons up and running to follow me. I'm still learning about blogging I'm sorry! Thanks for stopping by! I just added the button. Sorry! Look at the top right side.